Cardiovascular DiseaseKDT Optometry – Excellence Is The Only Option! | KDT Optometry - Excellence Is The Only Option! 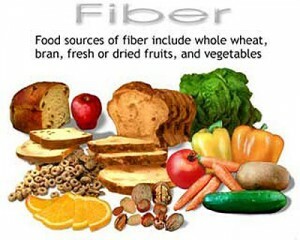 USA Today (3/23, Hellmich) reports, “A high-fiber diet appears to reduce your lifetime risk of cardiovascular disease, especially if you are consuming lots of fiber when you are young and middle-aged,” according to a study presented this week at the American Heart Association conference. After analyzing “dietary-recall data from more than 11,000 people, ages 20 and older, who participated in the National Health and Nutrition Examination Survey,” researchers found that “people who are in the top 25% of dietary fiber intake — that is, they consume more than 22 grams of dietary fiber a day — are more likely to have a lower lifetime risk for cardiovascular disease.” HealthDay (3/22, Dotinga) also covered the story.